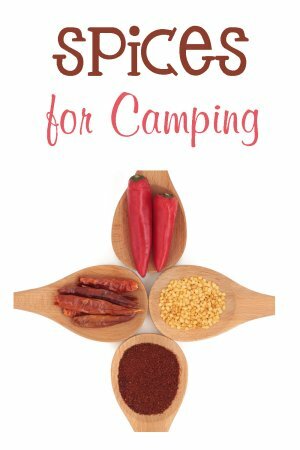 Easy ways to have spices on hand while camping or backpacking is to store them in a daily pill container or if you only need a few, use a tic-tac box, and fill them with spices from home. The pill containers actually hold quite a bit, depending on the size of the container. They snap shut so there is no leakage. Perfect for camping!